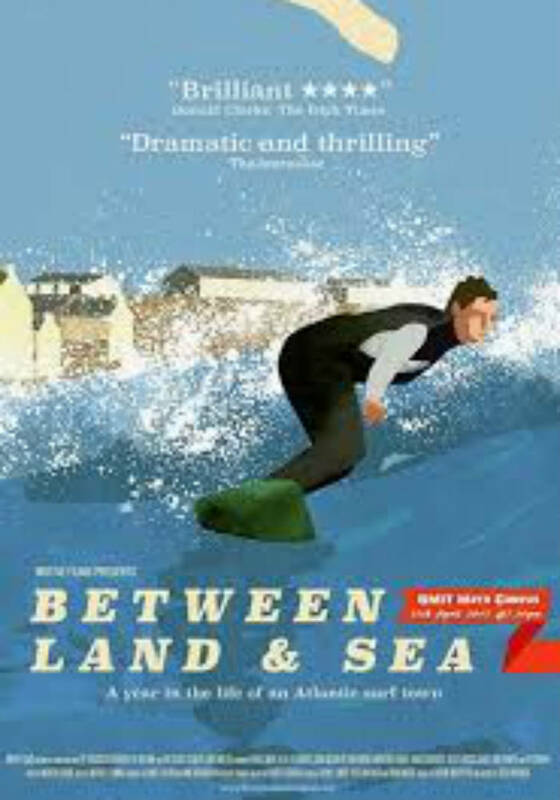 A stunning documentary about a small town (Lahinch, near the Cliffs of Moher) on Ireland’s west coast and the unlikely home of Europe’s best big-wave breaks. Early on in Ross Whitaker’s lovely, windy documentary, one participant scrutinises a photograph of a wave as big as the Ritz. “I can remember the wave just wanting to be surfed,” he says. There is a sense that the monster might not return in his lifetime. It’s hard, at this point, not to think of John Milius’s immortal Big Wednesday. That film brought us to a time and place – California in the 1960s – when surfing was at its most mythological. The sport belonged with the blonde gods who stalked warm beaches. For many decades, those who didn’t know much about surfing (that’s to say, almost all of us) regarded the domestic version as akin to Jamaican winter sports. That all changed in the new century. Whitaker, director of Unbreakable: The Mark Pollock Story, offers evidence of the transformation in a diligent study of 12 months in the life of Lahinch. Not so long ago, that Clare resort was kept aloft by visits from domestic golfers. The film suggests that they’re not coming in such mighty droves (presumably, because they can now afford to holiday in Florida). Happily, around 2000, the surfers began taking their place. Tartan caps have been replaced by washed out baseball caps. Whitaker begins his film in the depths of winter. The ice cream shop and the milkshake place are closed. Surfers repair their boards. The guy in the surf school, with months to go before the rush, faces up to a period availing of the better offers in Aldi. The months roll on and the torpor is shaken. Then unseasonal bad weather sets in. Tom Doige-Harrison and his wife Raquel Ruido Rodriguez – he’s an engineer, she makes designer soap – are just the most glamorous subjects among a clutter of wave enthusiasts. We enjoy the building of a yurt. We learn about a religious revelation. A visiting surfing superstar fails to fully conceal his awe when peering towards a distant cliff of angry water. These are fine character studies, but, like its subjects, Between Land and Sea seems most comfortable out there amid the brine. Kevin Smith’s photography is sublime. Shots of roaring waves that push all else out of the screen clarify why the nation has a reputation to compare with the world’s most desirable surfing destinations. “Ireland has this mediocrity complex,” somebody moans towards the close. We have no need of such a thing. We can surf. And we can make great surfing documentaries. Source: https://www.irishtimes.com/culture/film/between-land-and-sea-putting-irish-surfing-on-the-global-map-1.2995245 3/3/2017, edited extracts, accessed 18/3/2019.